Please see the first page of this topic for links to high DPI support discussion. [MERGED]: Veaam9 : Too much green in the IF !!? In the V9 B&R Console, at some screen resolutions, when a dialog box is opened, it is not easily distinguishable from the main screen. So you try to click out of the dialog, it does nothing, ant then you realise "ah oops, there's this dialog opened". I have recently been switched to a Dell high DPI display and noticed an issue with the Veeam Console. 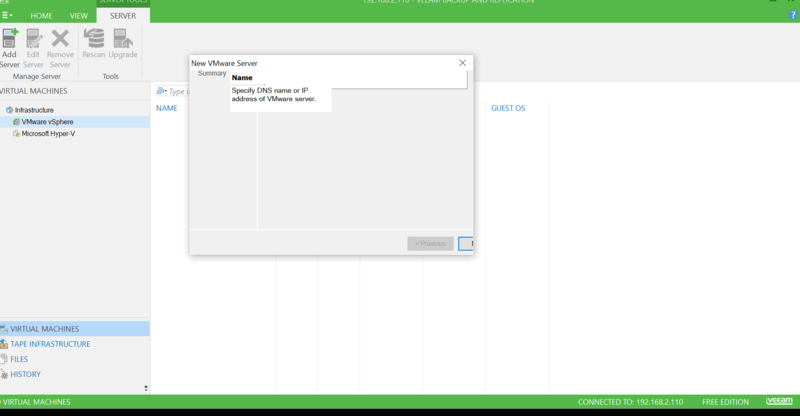 For the most part the Veeam console looks fine, but when attempting to edit or create a new job, the dialog windows are not displayed correctly and really hard to use as some buttons are missing completely. Has anyone else seen this and is there a way around it or plans to address this for those of us with newer monitors? Currently the only resolution is to run at 100% DPI however it is planned to fully support this in a future release. I've just switched to a 4k display laptop and I'm facing a weird layout while using the console. Console functionality is not affected for sure but when I select backup or replication jobs with multiple VMs, job stats and performance are condensed and I need to resize columns everytime. It is planned an update to adapt the UI for UHD displays? I've just ended to place B&R into a customer environment and they noticed me this glitch, you all sure will know that non-tech customers consider products for their interface first before verifying functionalities. Thank very much and keep up the great work! Hi Riccardo and welcome to the community! That`s a known issue and going to be addressed in the next product releases. I have updated in 9.0.0.1491 update 1 but i already have some display issues when using the console, is there any thing to correct that ? Hi Fabrice, make sure you're using default display settings. When is it plan to fix this DPI issue ? foggy wrote: No ETA currently. Please fix this issue in a future version soon. Thanks! Thought I would join in to say that this is a incredibly frustrating and unusable. How come every application that is released now days for use on Windows 10 doesn't have some sort of built in scaling. Are you guys working on this or are you still expecting us to lower our resolution and change our display settings every time we wish to use the B&R console? Rick, thanks for joining, we're looking into addressing this, as mentioned in this thread above (along with the reasons of the current behavior).